A year that championed educational research and its impact is now gone into the ether. We worked with our brilliant SIG convenors, partners and speakers to ply you with useful and enjoyable events that, according to the feedback we received, ‘exceeded expectations for relevance, expertise and value of discussions’. At BERA we care about strengthening collaboration between researchers and practitioners, and this is reflected in the breadth and depth of the events we ran last year. 2018 started with ‘Exploring contemporary creative practices within and beyond school’, followed by ‘Researching the Curriculum in schools and colleges: Practice, Professionalism and Innovation’. Two Saturday events, ‘Research and Pedagogy in the Classroom’ and ‘Alternative ways of educating teachers to educate children differently: What do curriculum, assessment and pedagogy look like when “done differently”?’, provided delegates with inspirational speakers and a ‘space to think, talk and share’ and a ‘massive influx of ideas’. ‘The future of educational research in Wales’ conference offered, according to review feedback, ‘a very useful opportunity for researchers and teachers to meet and work together’. The day included contributions from the Welsh cabinet secretary for education, Kirsty Williams, and from leading researchers and headteachers who are advancing the use of evidence-informed practice. As demonstrated by the fact that the event sold out less than a week after its launch, there is clearly a tremendous appetite for such meetings. This productive partnership with the Welsh Government reflects BERA’s strong commitment to holding events in the four nations. The four nations were also gathered under the same roof in the two-day event, ‘The impact of policy on leadership practice: Growing a research agenda’, which brought together practitioners, researchers and policymakers from across the UK, Ireland and New Zealand to set a timely, relevant and collaborative research agenda for educational leadership. The Physical Education and Sports Pedagogy special interest group (SIG) also widened international outreach by hosting an inspiring scholar lecture by Mikael Quennerstedt from Örebro University in Sweden in their annual highlight, the ‘Invisible College’. BERA’s annual conference, held in Newcastle for the first time, remained unsurpassed in attracting a diverse international audience and robust scholarship – as it will this year in Manchester. One of the most recent examples of cross-regional engagement and capacity-building was achieved with an event run by BERA’s English in Education SIG, Queens University Belfast and the Educational Studies Association of Ireland. This event showcased recent case studies and included a workshop for local teachers. Similarly, the English in Education SIG collaborated with the Chartered College of Teaching to put together an impressive showcase of interdisciplinary research spanning pedagogy, literacy, technology, social justice and other topics through its 27 presentations and two keynotes by US and Australian experts. Fruitful partnerships continued at the Educational Technology SIG’s joint event with the British Journal of Educational Technology on ‘Methodological and Theoretical approaches to Ed Tech Research and Usage’. According to the organisers, ‘the field and the journal suffer from inundation by descriptive studies rather than more challenging approaches to research, and a shift towards a more mature position is desperately needed’. Alongside keynote speakers sharing informed perspectives on the field, there was also an open and spontaneous debate and participation from the audience, with newer researchers joining in. Other events also responded to the needs of emerging educational researchers. Stellar speakers and workshop facilitators shared advice, ‘tips and tricks’ at the BERA-BAICE writing for publications workshop, and a two-day writing retreat guided participants through key features of academic writing while providing ample opportunities for interaction with peers and experts. Numerous peer-to-peer discussions, keynotes and workshops were available to ‘Early Career Researchers in Post-Compulsory and Lifelong Learning’, those interested in Islam, Prevent and fundamental British values, and ethical issues arising from fieldwork research. The BERA-LERN Educational Research Masterclass took a step further to reach out to local authority researchers and to augment their research skills and the prominence of their research output. Ethical dilemmas were in the spotlight this year through BERA’s revised Ethical Guidelines for Educational Research and a series of events dedicated to the topic, including one on the ethics of educational leadership research. Incidentally, 1988 was the year not only of the inception of BERA’s ethical guidelines (sparked by John Elliot’s seminar in Cambridge), but also of the 1988 Education Act. BERA’s History SIG marked its 30th anniversary by holding a seminar to reflect on the significance and enduring legacy of the Act for educational theory, policy research and practice. Current governmental policies and initiatives were rigorously dissected at the Higher Education SIG events on ‘TEF: What next?’ and ‘Transitions: Challenges, Threats & Opportunities across the Post-compulsory Sectors’ which sought, according to its organisers, to create ‘opportunities to connect research, policy and practice in beneficial and novel ways’. ‘Debating theories of neoliberalism: New perspectives and framings in education research’ also addressed ‘repressive pedagogies and new public management’ through Richard Hall and Steve Courtney’s stimulating keynotes. For anyone wishing to boost their career by presenting their work to diverse audiences, to get inspired by cutting-edge advances in educational research, and to network with a wide range of colleagues, BERA events are the place to be. With the best experts in the field, we can help you smash your new year’s resolutions and get them off to a flying start. See what’s on offer at bera.ac.uk/events. Zita Dargužytė is BERA’s events assistant. 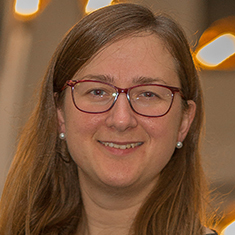 Having worked for the European Union Agency for Fundamental Rights, organising a broad range of events including on inclusive education, she is passionate about communicating evidence-based research to influence policymaking. Outside of her role at BERA she curates a series of art exhibitions advocating the positive impact of migration and social diversity (epuertos.com).